Scott Bittle leads public issue analysis at Public Agenda, including both its highly regarded opinion research reports and PublicAgenda.org, which has been twice nominated for a prestigious Webby Award by the International Academy of Digital Arts and Sciences. Bittle is co-author, with executive vice president of Public Agenda Jean Johnson, of two books: Who Turned Out the Lights? Your Guided Tour to the Energy Crisis (Harper Paperbacks), helping readers understand the basic terms shaping the debate; and Where Does the Money Go? 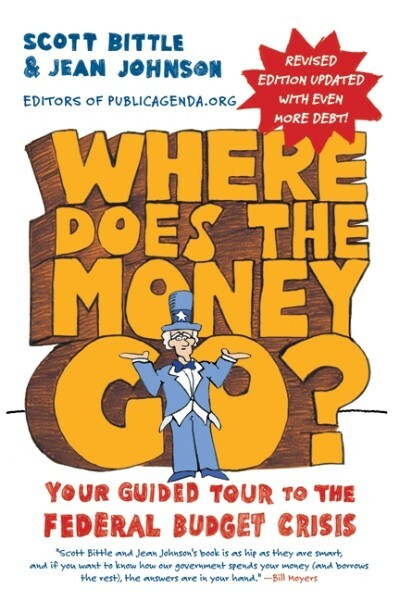 Your Guided Tour to the Federal Budget Crisis (Harper Paperbacks), an irreverent and candid guide that breaks down into plain English exactly what the Fat Cats in Washington are arguing about, which also came out as a revised edition in 2011. What exactly are biofuels and carbon sequestration, and why do they matter? Why are we making ethanol from corn when there are worldwide food shortages? Is nuclear power so dangerous that it should be taken off the table as an option? An editor and reporter who has worked for both online and print publications, Bittle is involved in the production of citizen education guides and is lead author of Public Agenda's Energy Learning Curve survey and the Confidence in U.S. Foreign Policy Index. He is a co-author of the Citizen's Survival Kit and for the 2006 elections, was an exit poll analyst for NBC News. Since 2008, he has been the Web director for Planet Forward, an innovative PBS project to bring citizen voices to the energy debate. Prior to joining Public Agenda, Bittle was editorial development manager/Internet for Reed Travel Group, a division of Reed Elsevier. As such, he oversaw and produced content for several Web projects. 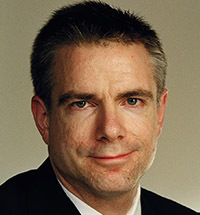 Prior to his involvement with online services, Bittle worked for eight years as a reporter, copy editor, bureau chief, and political coordinator for the daily newspaper The Press of Atlantic City. He twice won the Golden Quill Award for feature articles and was honored by the Philadelphia Press Association for daily newspaper writing. Bittle holds a Bachelor of Arts in communications and journalism from Rowan University of New Jersey. "Entertaining and irreverent while serving as an informative primer on a subject that is crucial to the future of all Americans." "With America $9 trillion in the hole, Bittle and Johnson, journalists at the nonpartisan think tank Public Agenda, note the consequences of failing to deal with high debts and an aging population. An accessible - even fun - look at a complex subject." "In this clear, concise, and accessible book, Bittle and Johnson go beyond name calling and finger pointing and take a refreshing middle ground. It's an invaluable read for anyone interested in our energy past, present, and future." "How far will we go to satisfy our oil addiction, and who will decide our energy future? If you want in on this discussion, then this book is for you. Bittle and Johnson make clear that while our energy crisis is real, there are also real solutions available right now; all we have to do is listen, learn, and act."